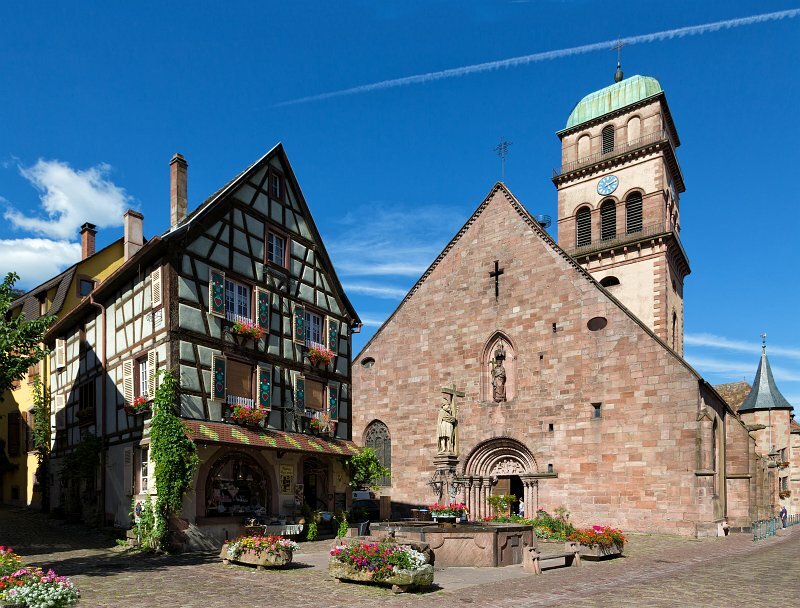 The parish church of Kaysersberg is dedicated to the Holy Cross. Tradition has it that Empress Helena discovered the real cross in 327 in Jerusalem. The (modern) statue of the saint is placed in a niche in the pediment of the church and the statue of Emperor Constantine, her son, on the beautiful fountain in front of the sanctuary. Its construction was spread out between 1230 and the 16th century. The unique bell tower, pointed at the origin, was reworked in 1825 to allow the Kaysersberg residents to have a chime of 5 bells.